Pitch is an important element of any roofing system. 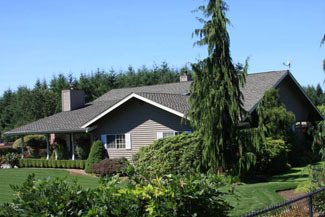 Roofs are generally classified as flat or low slope and steep slope systems. 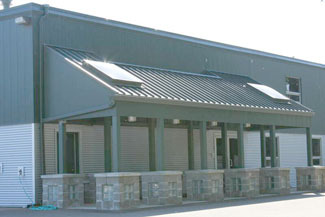 Commercial buildings tend to have low slope roofs. The preference for commercial low slope roofing is largely due to its cost-effectiveness, easy maintenance and scope for increasing usable space by constructing an upper floor. However, you can enjoy all these benefits from your commercial low slope roofing system in Lakeland, WA only when it is installed by proven pros like the technicians at Johnson Exteriors, Inc. Call us if you want more commercial roofing information or a free cost estimate for our commercial low slope roofing installation services in Lakeland. We offer comprehensive services for installing commercial single ply roofing systems in Lakeland. Our company caters to a diverse clientele, building single ply roofs over retail stores, shopping malls, office complexes, industrial facilities and more. Our technicians are trained in installing all commercial single ply roofing types. They are adept at the different methods of installing single ply roofing systems, including chemically adhering, mechanically fastening and ballasting to the roof insulation. 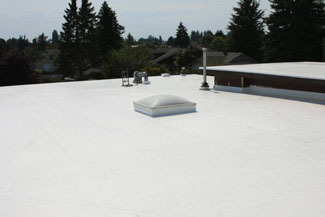 Our certified roofing company is certified by several commercial single ply roofing manufacturers. Your commercial low slope roofing installation project is too important to be handed over to just any local roofing company. Choose the right contractor to make your investment go a long way. There are likely to be many companies that install single ply roofing systems in Lakeland for commercial properties. Picking one can be tough. Rely on Johnson Exteriors, Inc. for commercial single ply roofing systems in Lakeland. Dial (360) 226-2521.